Monster Energy Yamaha Tech 3 team boss Herve Poncharal has finally confirmed that Malaysian racer Hafizh Syahrin will be the full time replacement for Jonas Folger at the squad for the 2018 MotoGP season. 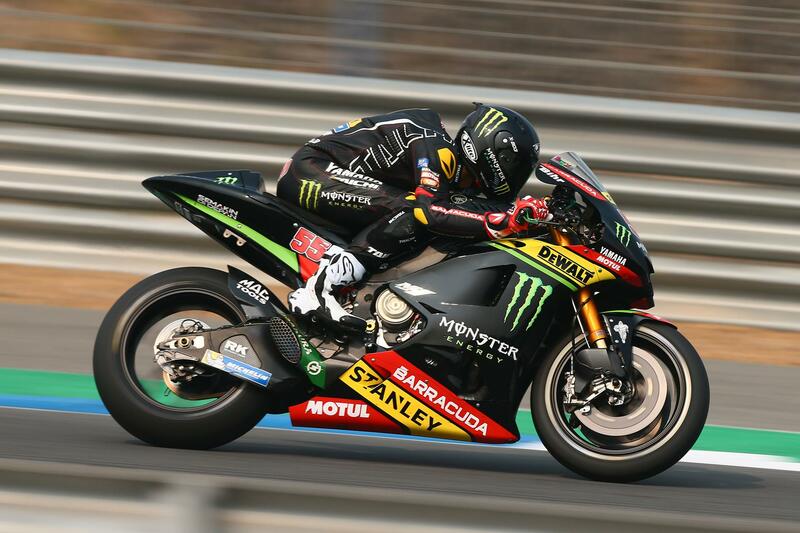 Originally reported exclusively by MCN three weeks ago, Syahrin was impressive at last weekend’s Thai test when the French team gave him the chance to audition for the role of replacing the unwell German. “I’m really happy to announce that Hafizh Syahrin will be the second Monster Yamaha Tech3 rider alongside Johann Zarco. It’s been a tough time since we heard from Jonas Folger, that unfortunately he decided not to race in 2018 in order to look after his health and try to fully recover. “It has been a long process to find somebody, who could be the one. In Sepang I met Razlan Razali, we were just chatting and now and then you have crazy ideas, which are sometimes the ones that bring the best result. I would like to thank Razlan Razali for his passion, his contagious energy and the involvement he has for MotoGP racing and for the sport in general, plus to support Hafizh Syahrin to climb the last step to the premier class. “We had to convince all the people around us, that Hafizh is going to be a good MotoGP rider. Therefore, we had to give him a tough task during the three days of testing in Buriram. In the end, he did a tremendous job, he fulfilled the mission. Yamaha was more than happy with his performance and the whole Tech3 team was delighted. I am very honored and proud to give him this chance and I know this is going to be something historical, because it’s the first time that a Malaysian rider is racing a full season on a MotoGP bike and we know how popular our sport in this part of the world is.